This week we’ve been spotlighting gifts for Mom. 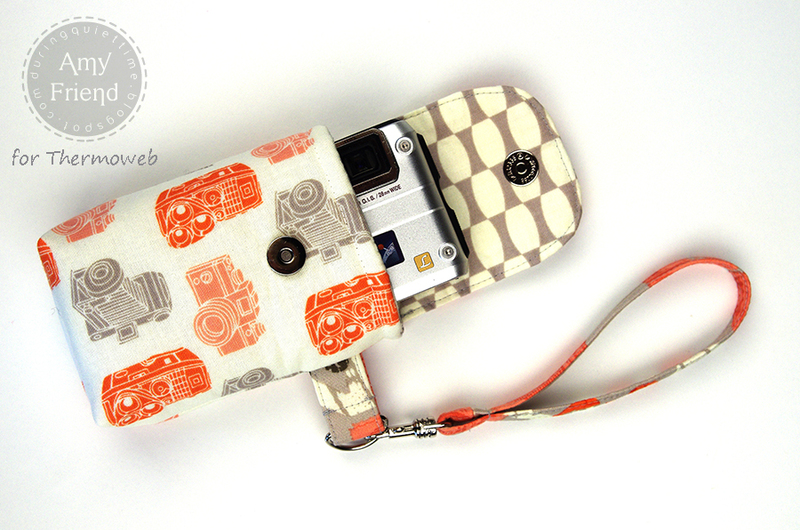 Whether a quilt, pillow or this adorable project….camera case! Designer Amy Friend has the perfect pattern for you along with fun fabrics from our friends at Cosmo Cricket! The great camera prints found in 2wenty Thr3e by Eric and Julie Comstock of Cosmo Cricket for Moda seems destined for a camera bag. 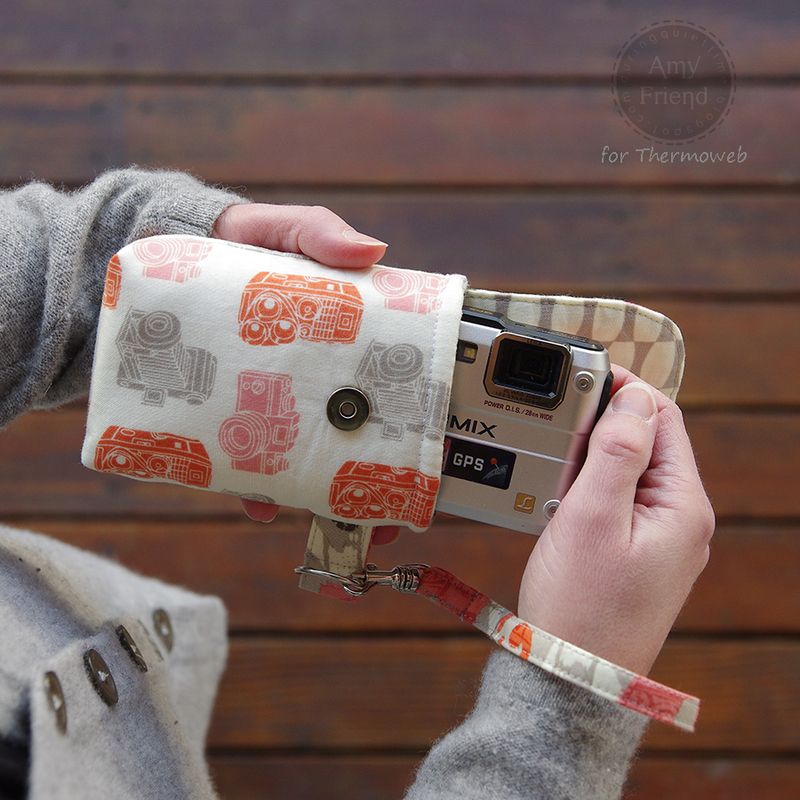 This camera bag uses 3 of the prints from the collection along with Thermoweb’s HeatnBond Craft Fusible Firm, HeatnBond Fleece Fusible and HeatnBond Fusible Medium Weight. 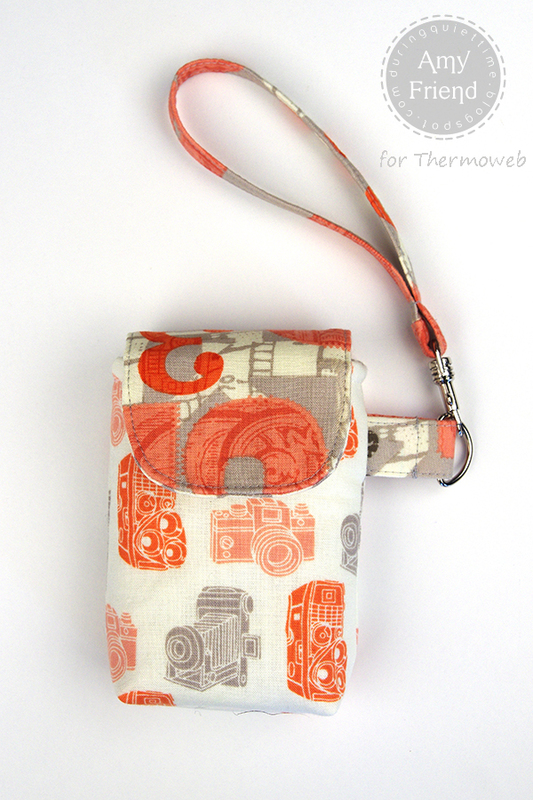 The camera case is padded and fully lined featuring a magnetic closure and an optional wristlet strap. The finished case measures4 1/2″ high x 3″ wide x 1″ deep. Would your mom like one for Mother’s Day? You can download the pattern right here. This is soooooo cute! Love the fabric. So adorable. I love the fabric too. Thermo web products make these projects so easy! Thanks for the pattern. I love this, but I wouldn’t use a magnet closure. I’d be afraid it would damage the Memory card or other camera parts. Just like some people get their cell phone damaged by placing it near cards with magnetic strips. I would use a Velcro closure. That’s a fantastic suggestion Robin!! Thanks for the tip! 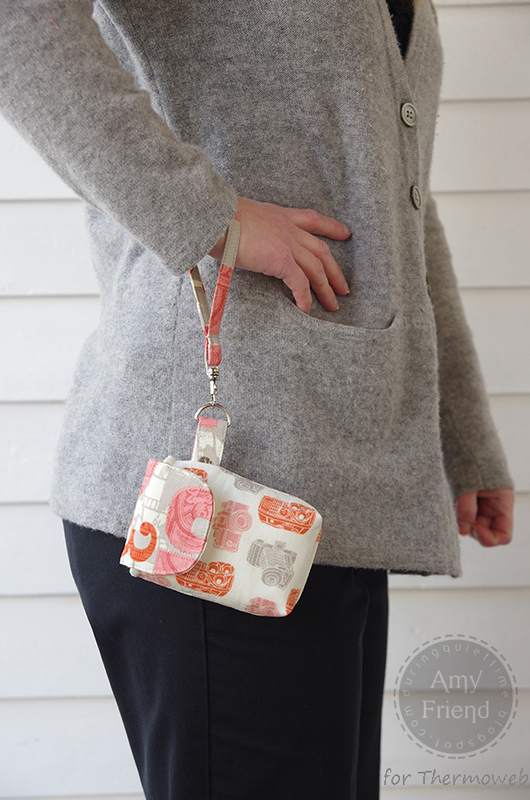 Absolutely adorable camera bag! Thanks for sharing a great pattern! I can not find the instructions for the heat n bond camera. I have scoured the website. Can you help? Can not find the instructions for the camera case. Can you help? Thanks.